The next Family Dine-Out will be at Crouching Tiger on Broadway in downtown RWC on Tuesday Oct. 16th from 4-9pm. Click here to commit to eating at Crouching Tiger on Oct. 16th! Or mention Kennedy when you order. Put the Kennedy PTO Meeting on your calendar for next Tuesday, October 23rd at 7pm in the Library. Join us for our annual High School Fair on Thursday, October 4, from 6-7 pm in the gym. Representatives from local public, private, and charter high schools will have booths where you can get information and ask questions. Head over to this special event right after the High School Info Night! This is a great opportunity to meet Woodside High School Principal Diane Burbank, selected staff members, and parents of current students. Come to learn everything Woodside High School has to offer your child to prepare them for college and beyond! All 7th and 8th-grade parents are welcome!! We look forward to seeing you there – please email events@whsfoundation.org to receive an invitation. There are lots of events coming up in September. Check the Events Page for all Kennedy PTO events! Back to School Night is Thursday, September 20th! Taco Truck and Flamin’ Dogs will be serving food outside the gym starting at 5 pm. Back to School Night begins at 6 pm in the Gym. Be sure to stop by the PTO table to see how you can get involved this school year! Family Dine-Out at Chipotle in Downtown Redwood City is Tuesday, September 25th from 4-8 pm. Portion of proceeds go directly to the PTO, be sure to mention Kennedy to the cashier. Grab your Chipotle and then head over to the PTO Meeting in the Kennedy Library on September 25th at 7 pm. 8th Grade Yosemite Info Night is Wednesday August 22nd from 7-8 pm in the Gym. Come find out how awesome this outdoor education experience (taking place December 10-14th) will be for your 8th grader! 6th Grade Potluck in the B Quad is Thursday August 23rd from 6-7 pm, followed by the Yosemite Info Night for 6th graders in the Gym from 7-8 pm. Check out all upcoming events on the Kennedy PTO Events Page! Maze Day is Coming Up! Kennedy Middle School Maze Day is coming up. Be sure to look for your packet of forms in the mail and come by the gym to get your student all ready for the new school year. PE Clothes will be sold at Maze Day and we will be accepting Cash and Credit/Debits cards only (no checks). If you would like to help the PTO sell PE clothes, please sign up here. We could use many volunteers to keep the lines moving quickly as we process the bulk of the PE Clothing sales on maze days! Welcome New PTO Board Members! The Kennedy PTO is pleased to have new leadership for the 2018-2019 school year! Roy Dorling, parent of an incoming 6th grader, is the new President of the Kennedy PTO. Roy brings several years of PTO leadership experience from two other Redwood City School District schools. Pierre Raynaud-Richard, parent of a 7th grade student, is the new Vice President and also brings past PTO experience to the Kennedy PTO. Phillipe Lamotte, parent of a 7th grade student, is the new Treasurer. Cathy Ammenti, parent of an 8th grade student, is the new Secretary. Kate Stevenson, parent of a 7th grade student, is the new Communications Chair. Thanks to these dedicated parents for leading our PTO for the 2018-2019 school year! Today is “Stand UP For Public Schools” day! Please support Kennedy! Please join Kennedy Middle School in supporting the nation-wide “Stand UP For Public Schools” event on Wednesday, May 9th, 2018. If every family made a $100 donation per student we would make our goal for this year! Every dollar counts. Every donation counts. Every student counts. Thank you for being part of the Kennedy Middle School community! For more information on the campaign visit: www.standup4publicschools.org. You can also drop your donation off in the PTO box in the Kennedy office. ¡El 9 de mayo es el día de defender a las escuelas públicas (Stand UP For Public Schools)! Únase a la escuela secundaria Kennedy para apoyar el evento nacional día de defender a la escuela pública (Stand UP For Public Schools) el 9 de mayo de 2018. Si cada familia hiciera una donación de $ 100 por estudiante, ¡haríamos nuestra meta para este año! Cada dólar cuenta. Cada donación cuenta. Cada estudiante cuenta. ¡Gracias por ser parte de la comunidad de escuela secundaria Kennedy! Para obtener más información sobre la campaña, visite: www.standup4publicschools.org. También puede dejar su donación en la caja de PTO en la oficina de Kennedy. Next week is Teacher Appreciation week and we need YOUR help! Next week is Teacher Appreciation Week at Kennedy Middle School! Let’s show our teachers and staff how much they mean to us by donating food or contributing funds to provide them with delicious, healthy treats. The PTO is sponsoring events throughout the week such as a yogurt and granola bar on Monday and fajita bar on Thursday but we need your help! Please consider signing up to donate food or make a monetary contribution and we’ll shop for you! Please visit the Kennedy PTO website for more information on these and other upcoming events. And don’t forget to Like Us on Facebook! Visite el sitio web de Kennedy PTO para obtener más información sobre estos y otros eventos futuros. ¡Y no olvide darnos un <Me gusta> en Facebook! The next Kennedy PTO meeting is tomorrow, Tuesday, April 24 from 7 to 8:30 pm at Harry’s Hofbrau (1909 El Camino Real, Redwood City). View the agenda for this meeting. If you are a parent or guardian of a Kennedy student, then you are part of the Kennedy PTO! Everyone is encouraged and welcome to attend these meetings! To learn more about the Kennedy PTO, join us on Tuesday or go to the PTO Meeting Details page to view upcoming meeting dates, past meeting minutes, and open volunteer opportunities. La próxima reunión de Kennedy PTO es el miércoles, 24 de abril a las 7:00 en Harry’s Hofbrau (1909 El Camino Real, Redwood City). Ver la agenda de esta reunión. Si usted es padre o tutor de un estudiante de Kennedy, ¡entonces forma parte del PTO de Kennedy! ¡Todos son animados y bienvenidos a asistir! Para obtener más información sobre el PTO de Kennedy, únete a nosotros el martes o ve a la página de detalles de la reunión de PTO para ver las próximas fechas de las reuniones, los minutos de las reuniones pasadas y las oportunidades de voluntariado abiertas. Join other Kennedy families for our next dine-out events to raise funds for our Kennedy kids! Just come anytime between 4 pm and 9 pm and mention that you are dining out for Kennedy Middle School when you place your order and 20% of the price of your meal will go back to Kennedy! Valid for dine-in or take-out orders. Galeotti’s Pizzeria is located at 3121 Jefferson Avenue (at the corner of Alameda de las Pulgas). Visit their website to see the full menu or to order online. The Habit is located in Sequoia Station at 1111 El Camino Real. Check out their website for the full menu or to order online. Be sure to check the PTO calendar for other dine-out dates this year. ¡Únase a otras familias de Kennedy para nuestros próximos eventos de cenas para recaudar fondos para nuestros niños de Kennedy! Venga a cualquier hora entre las 4 pm y las 9 pm y mencione que viene para la recaudación de fondos de Kennedy Middle School cuando haga su pedido y el 20% del precio de su comida se le devolverá a Kennedy. Válido para pedidos de comida o comida para llevar. Galeotti’s Pizzeria está ubicada en 3121 Jefferson Avenue (en la esquina de Alameda de las Pulgas). Visite su sitio web para ver el menú completo o para ordenar en línea. The Habit se encuentra en la estación Sequoia en 1111 El Camino Real. Consulte su sitio web para obtener el menú completo o para ordenar en línea. Asegúrese de revisar el calendario de PTO para otras fechas de cenas este año. The Kennedy PTO NEEDS YOU! The Kennedy PTO has many opportunities for our community to get involved! Can you help with the 8th grade graduation events? Help manage the PTO budget? Write grants? We are looking to fill both small and large positions in various areas of the organization. Visit the Volunteer page of the Kennedy PTO website or come to an upcoming PTO meeting to find out how you can help. It’s a great way to stay involved and support your child’s education and the community! ¡El PTO de Kennedy TE NECESITA! ¡El PTO de Kennedy tiene muchas oportunidades para que nuestra comunidad participe! ¿Puedes ayudar con los eventos de graduación de octavo grado?¿Ayuda a administrar el presupuesto de PTO? Escribir subvenciones? Estamos buscando llenar puestos pequeños y grandes en varias áreas de la organización. Visite la página de Voluntarios del sitio web de la PTO de Kennedy o asista a la próxima reunión de PTO para averiguar cómo puede ayudar. ¡Es una gran manera de mantenerse involucrado y apoyar la educación de su hijo/a y la comunidad! If you haven’t done so already, please remember to make a monetary contribution to the upcoming graduation events. This will ensure that all 8th grade students have the opportunity to participate in all of the graduation events. Contributions can still be made on the Kennedy STORE at the JFKMS PTO website. Please make sure you enter your child’s name on the donation! Cash or check payments may be dropped off in the school office in the PTO Lock box. Si aún no lo ha hecho, recuerde hacer una contribución monetaria a los próximos eventos de graduación para garantizar que todos los estudiantes de 8º grado tengan la oportunidad de participar en los eventos de graduación. Las contribuciones aún se pueden hacer en el sitio web de JFKMS PTO en la TIENDA de Kennedy ¡Asegúrese de ingresar el nombre de su hijo en la donación! Los pagos en efectivo o con cheque se pueden depositar en la oficina de la escuela en el cuadro de Bloqueo de PTO. Looking for new PTO Board Members – join the meeting on Tuesday! Join us at the next Kennedy PTO meeting on Tuesday, March 27, 7 pm at Harry’s Hofbrau (1909 El Camino Real, Redwood City). View the agenda for this meeting or check out the PTO Meeting Details page to view upcoming meeting dates, past meeting minutes, and open volunteer opportunities. 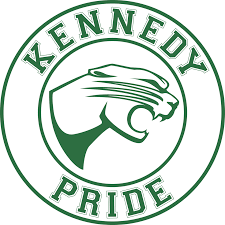 Many of our current board members have 8th grade students and are leaving Kennedy next year. We need new members to step upand take action! Feel free to contact info@kennedycougarspto.org with any questions. Buscando miembros nuevos para la Mesa Directiva de PTO: ¡Venga a la reunión el martes! Únase a nosotros en la próxima reunión de Kennedy PTO el martes, 27 de marzo, a las 7 p.m. en Harry’s Hofbrau (1909 El Camino Real, Redwood City). Vea la agenda de esta reunión o visite la página de detalles de la reunión de PTO para ver las próximas fechas de las reuniones, los minutos de las reuniones anteriores y las oportunidades de voluntariado abiertas. Muchos de nuestros miembros actuales de la mesa directiva tienen estudiantes de 8 ° grado y dejarán Kennedy el próximo año. ¡Necesitamos que miembros nuevos tomen el cargo y actúen! No dude en contactarse al info@kennedycougarspto.org con cualquier pregunta. Venga en cualquier hora entre las 4 pm y las 9 pm y mencione que viene para la recaudación de fondos de Kennedy Middle School cuando haga su pedido y el 20% del precio de su comida se le devolverá a Kennedy. Válido para pedidos de comida o comida para llevar.